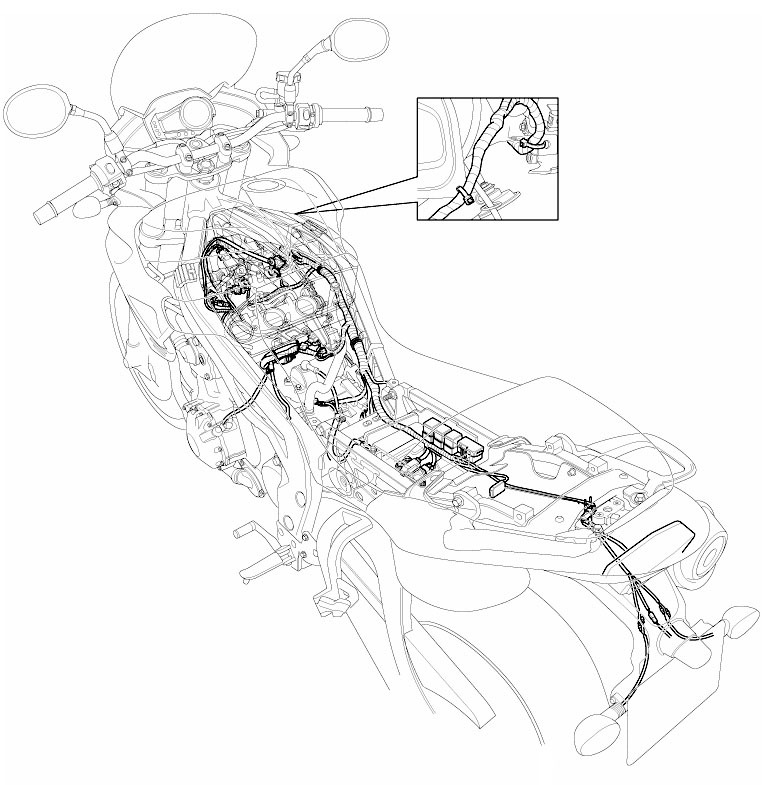 Illustration to show the harness routing on a motorcycle for the workshop manual. Completed in Adobe Illustrator. Click on image to return to main page.